Getting your caravan or trailer parked level is the key to getting a good night sleep and keeping your dinner on the table. Trying to get your trailer level with the help of your partner can be a source of frustration to you and humour to your fellow campers. Designed and engineered by the Design Destiny team, the TowTool helps you easily and safely get your bed flat from the driver seat. 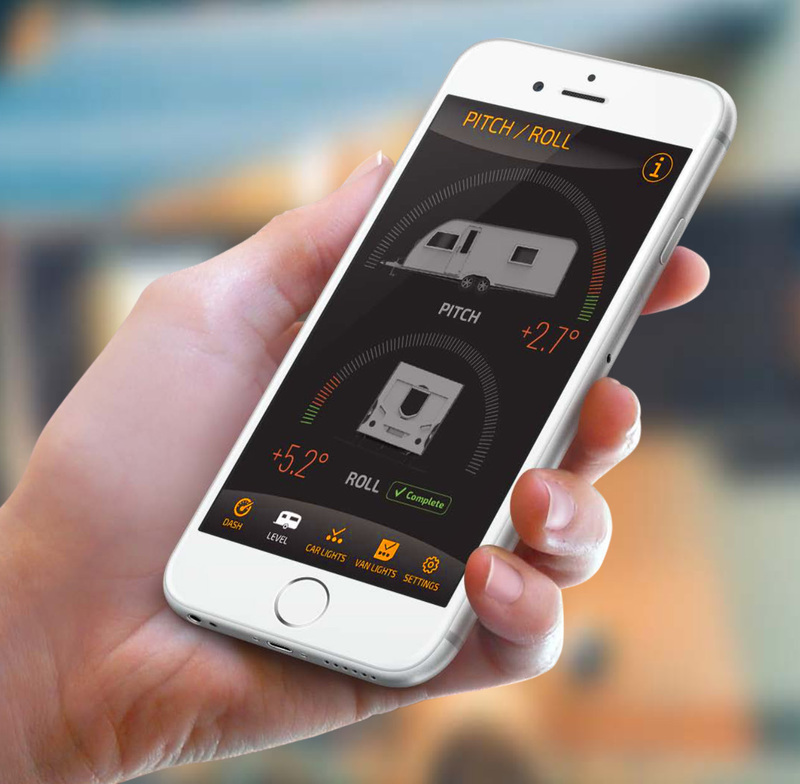 The patented technology transmits information from the trailer to the app on your phone, viewable from the cockpit of your car leaving you free to concentrate on moving your setup safely. No more panicky hand signals, no more shouting at each other and no more jumping in and out of the car to check if you have it right. Before you start on your journey, you can use the app to check your trailer lights are working and even allow you to check if your vehicle is outputting the right signals at the trailer plug. You can stand in view of the trailer lights and actually see each light being turned on and off from the app, giving you real peace of mind that you are ready to go. It also displays a host of other useful data, like the temperature of your fridge, or how hot your wheels are running. Simply plug the TowTool into your trailer lights and start the app, it draws power straight from the lights so you won’t even know it’s there.